I left this one until last, the first chapter not exactly drawing me in a few months ago compared to that of Attachments and Landline. Since finishing those, I’ve had my paperback staring at me, telling me to hurry up before Rainbow has another book squashed in on my wobbly shelves beside it. Now, after closing the last page on Eleanor & Park, I couldn’t see why I’d put this one off for so long. Even though I’ve thoroughly loved all of her books, something about this one just sparked something in me that made me want to read and read and read. Flipping back and forth between perspectives didn’t annoy me in this like it tends to do most of the time. I think that’s due in part to both characters being so damn hard not to like. And the romance….uhhh….so much romance. And romance done right. I couldn’t get enough. There was nothing rushed, or fake about it. I believed every page, longed for each time they’d get to next to each on the bus, gradually working their way up from complete silence…well, to more. 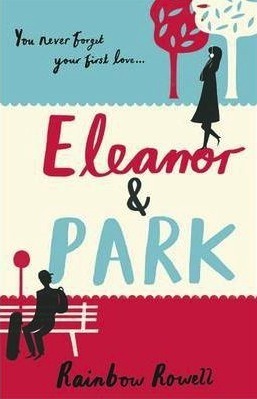 The slow burn of Eleanor & Park was just agonizingly magnificent. The depiction of Eleanor’s family life became such a gripping aspect of the story. They weren’t simply a dot point—struggle #1—it was a part of what made her her. I may not have gone through the hard life that she did, but I could feel it—really empathise with the way in which she’d had to live her life. I think that’s the important thing. Many books try and give their characters a gritty background to make them seem tougher for overcoming it, but most of the time that just leaves you rolling your eyes for the lack of authenticity in their actions. Eleanor’s life came across as anything but fake. It did seem like the whole world was against her, like her school was one big cesspool of evil. The depths to which people were willing to torment someone they didn’t even know sought to highlight the power of sheep mentality and Park’s apparent lack of it. I can’t say that he was perfect. There were moments earlier on where he seemed to go with the crow, judging Eleanor before he’d gotten to know her, but he gradually opened up into this fiercely loving guy. He had his own insecurities, never the most popular or outgoing, but he was someone that would do anything if the moment called for it. I can see how so many people have fallen in love with this book. It’s easily one of the best that I’ve read this past year—and I’ve read quite a few contemporaries this year. It’s just such a giddy-inducing book. If there weren’t so many other books that I want to get to, I’d be reading this again and again and again, just because I didn’t want it to end. That last page was really hard to flip over and see it staring blankly at me. You don’t know how badly I wanted to grab out a label maker and stick one more line in there. Romance fans, Rainbow fans…readers in general. Great review! I absolutely loved this one when I read it about a year ago and definitely want to reread it soon just to get all those feels again from this wonderful story.